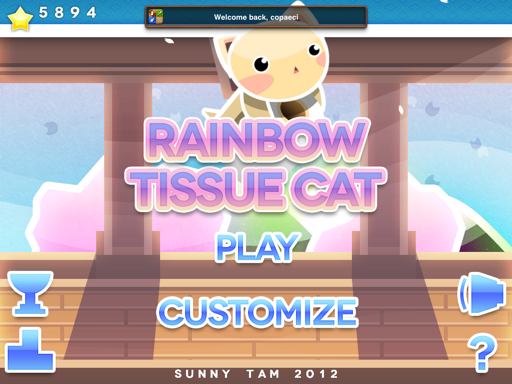 Rainbow Tissue Cat is a simple arcade game which not too easy to gain the highest score. This game is so simple to play. All you need to do just tilt your device. 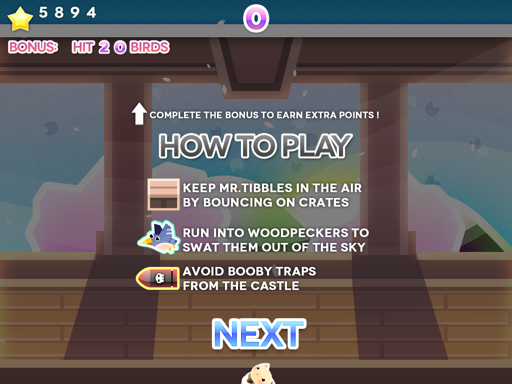 Jump and hit the birds. Take the stars to unlock the new characters. Actually, there's no special ability from other characters. All you got from new characters, just a new appearance. I like the Donut Cat... Yeah! However, I haven't unlock it yet, though I have enough stars to unlock that. 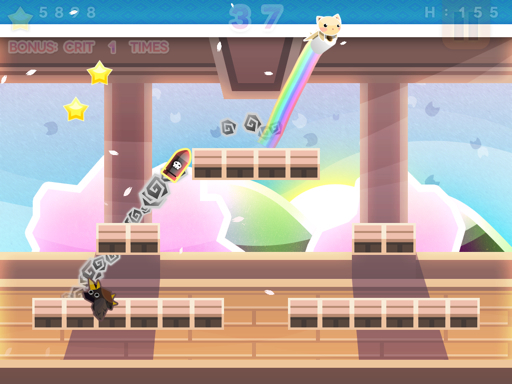 Avoid the shuriken and fire rocket, or you will game over. You will game over too if you fall down. 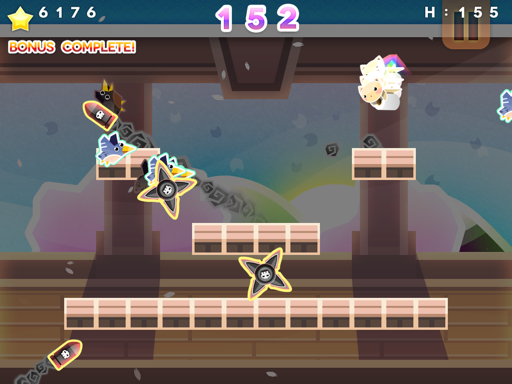 There's no power ups like the usual arcade games have. 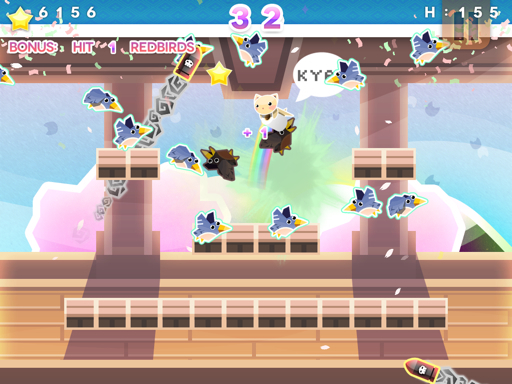 As the substitution, there are red birds which bring random power ups. 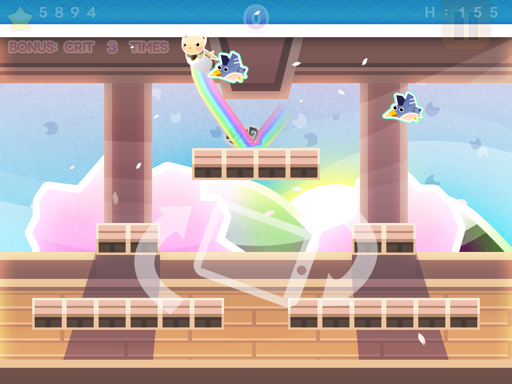 Hit the red bird and you will get power ups like double bonus, mellow time (slow motion effect), etc. 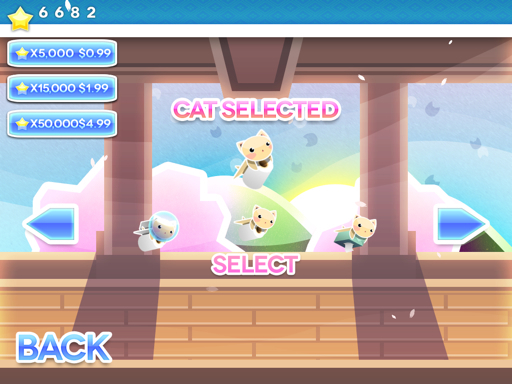 To unlock other character instantly, buy the stars use IAP. This game is costs $0,99. There's the FREE version of this game. Try the free version before you decide to buy.